OUR PRICE: $22.10 - Join Rewards Get $1 Dance Dollars On This Item! 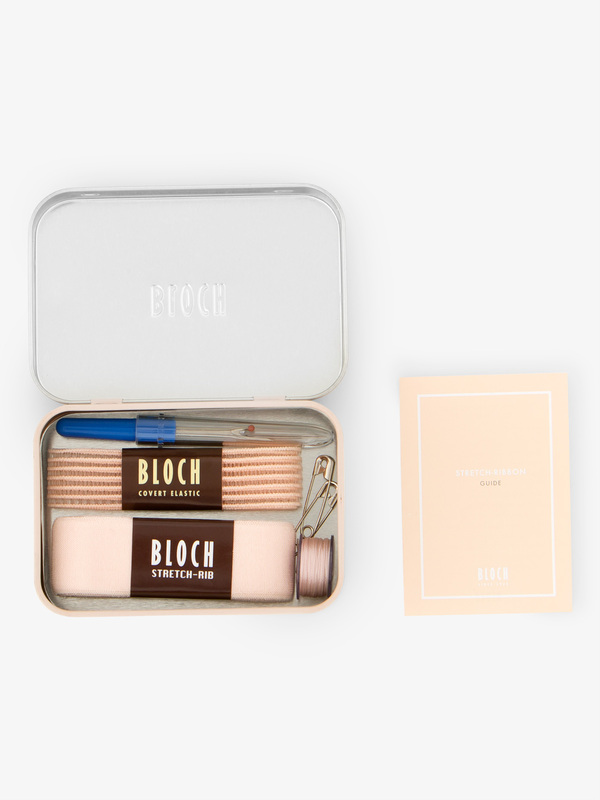 The Bloch professional stretch ribbon kit is perfect for keeping your pointe shoes in tip top shape! Features enough material for 1 pair of pointe shoes. Kit includes a beautiful reusable tin, 2 yards of stretch ribbon, 20 inches of elastic, 1 needle, and matching thread. Throw this kit in your dance bag and go! 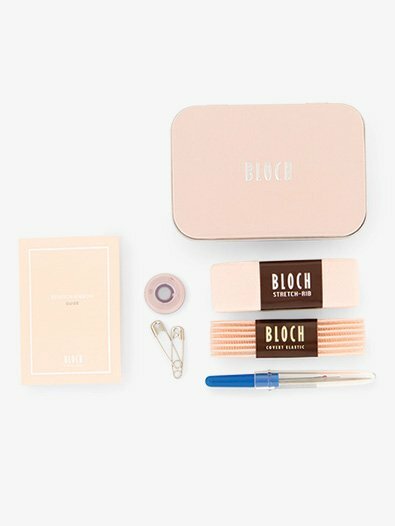 you're overpaying for a little pink tin. only enough ribbon and elastic for one pair of shoes.